The International Herald Tribune (IHT) is giving 'clean energy' entrepreneurs the chance to engage with businesses and policymakers at a global event in October. 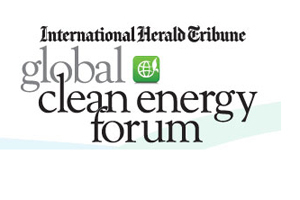 The newspaper’s IHT Global Clean Energy Forum will take place in Barcelona on 2 and 3 October and will see selected start-ups, academics and established companies present their ideas to 250 executives from the energy industry, who will vote for the best concept. The presentations and voting process will be live-streamed on the IHT’s community website. Stephen Dunbar-Johnson, IHT’s publisher, said: "As we saw highlighted recently at the Rio+20 summit, finding alternative energy solutions should be the concern of every industry, organisation, government and individual. "There may be all sorts of fantastic ideas out there but the challenge is often just giving them the exposure they need to take shape. "The IHT Innovation Showcase will give this much-needed voice to emerging talent from the global design, business and technology communities and make sure that they come to the attention of the people who could make their ideas a reality."